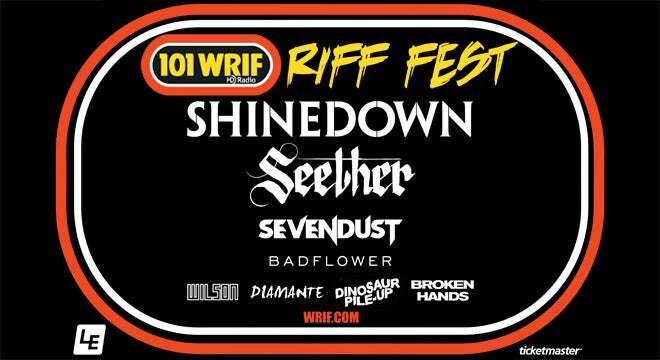 101.1 WRIF presents the hardest rockin’ party in Southeast Michigan RIFF FEST 2019 featuring main stage performances by Shinedown, Seether, Sevendust, Badflower and more TBA at DTE Energy Music Theatre on Saturday, July 13. RIFF FEST 2019 will also feature performances by Wilson, Diamante and more on the second festival stage located in the DTE parking lot. Gates and access to the festival stage will open at 1:30 p.m.